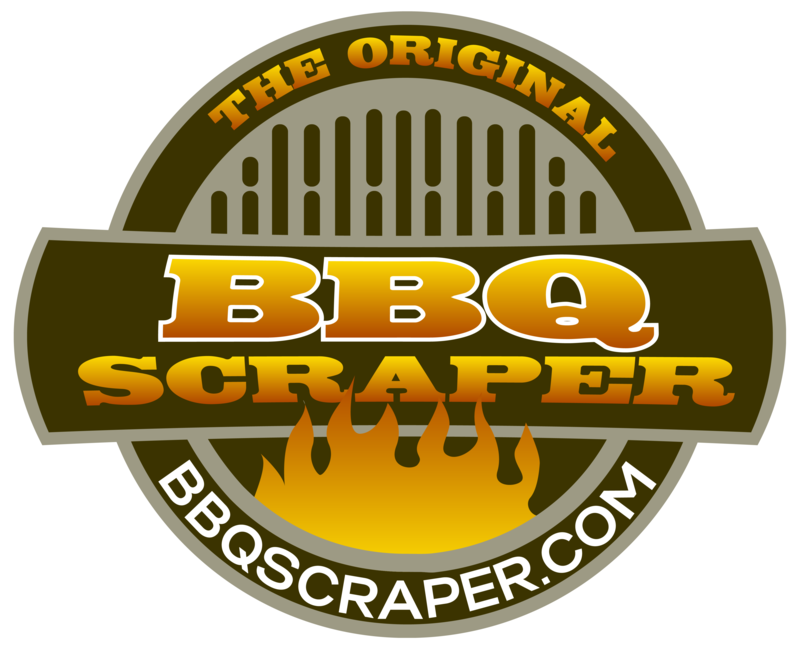 BBQ Scraper – Get your BBQ clean as a whistle without a bristle. Get your grill clean as a whistle, without a bristle. The BBQ Scraper is safe for you, your loved ones and your grill. No metal bristles are used, so you can’t get any stuck in your mouth, throat or stomach. 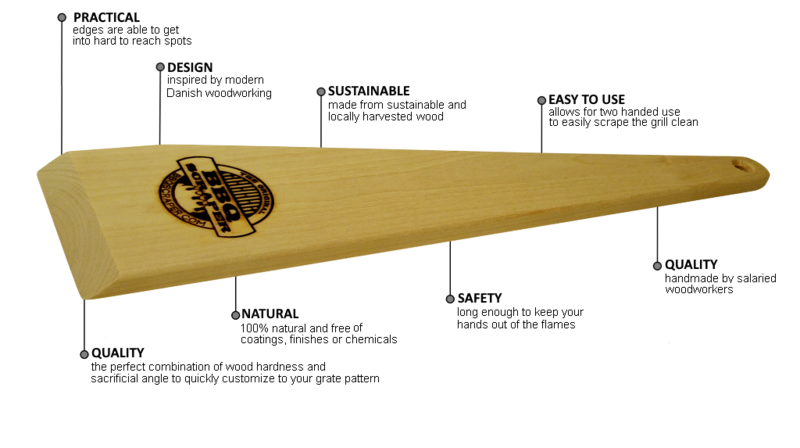 The BBQ Scraper is made from Canadian Birch hardwood, making it not only durable enough to last for many years, but it will never scratch even the most delicate porcelain coated grills. Being good for the environment and safe to use are unimportant if the BBQ Scraper doesn’t do its job, and clean your grill. We maintain that no other tool can clean your grill as well as the BBQ Scraper, because as you use it, customized grooves that match your exact grill’s grate pattern are burned into the tool. This makes it the perfect cleaning tool for your unique grill.